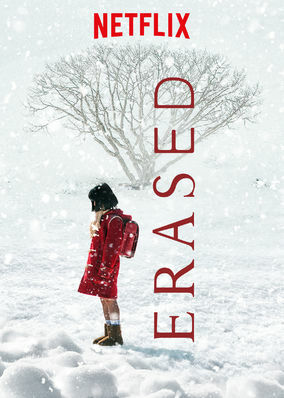 Erased (2017) on Netflix Luxembourg. Check worldwide Netflix availability! If Erased isn't available in your country, or you are visiting a country where it isn't, there is still a way to watch it! After finding his mom killed, Satoru's time-traveling ability takes him back 18 years for a chance to prevent her death and those of three classmates. He's rescued countless strangers with his mysterious ability. Now he'll journey back in time to save those dear to him.